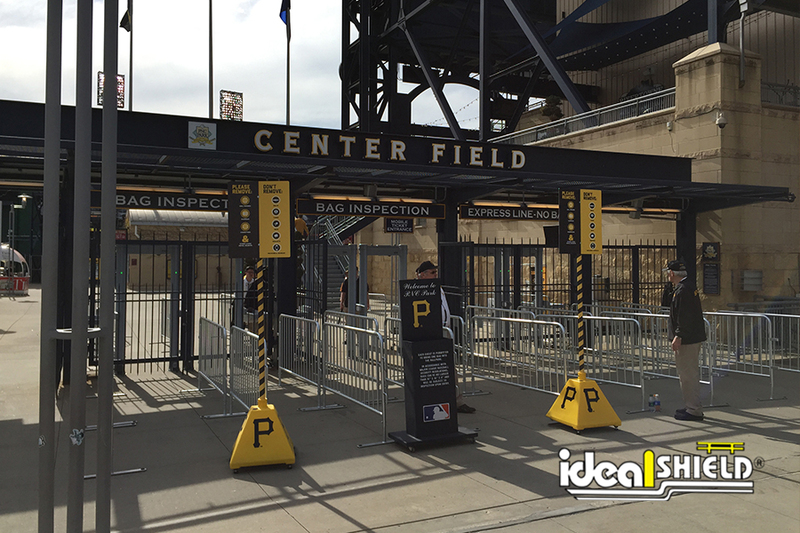 Ideal’s Heavy-Duty Flexible Bollard from FlexPost is the strongest flexible bollard option on the market and we prove it by offering a Lifetime Warranty. 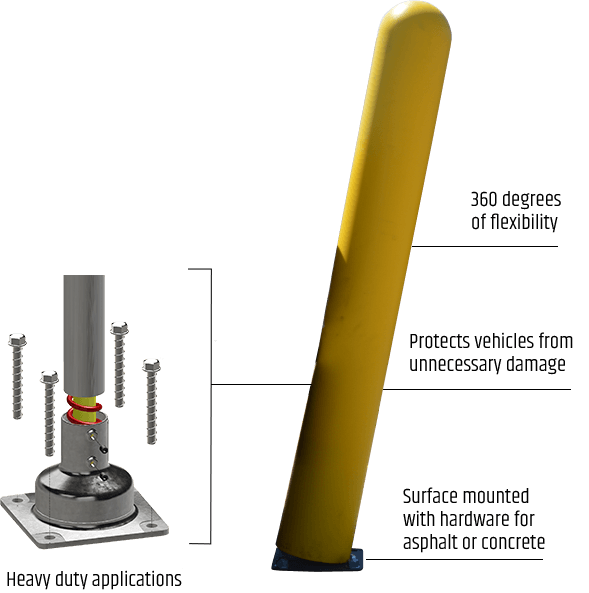 Better suited for high-traffic and heavy-machinery work areas, our Heavy-Duty Flexible Bollards come with zinc coated anchors, for both concrete and asphalt installations, and is designed to move only when contacted by a vehicle. This unique, reliable design allows business owners and warehouse managers to place these flexible bollards in place of existing standard bollard posts that are being hit on a regular basis to help limit impact damage on both the bollard and the vehicles. 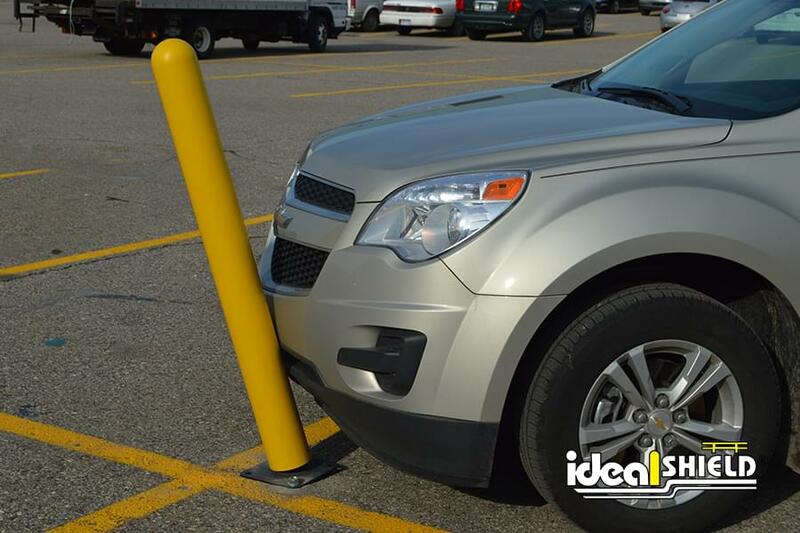 Making the Heavy-Duty Flexible Bollard a money saver for both the business and the customer. We also carry the standard Flexible Bollard, the best solution for areas that seem to get bumped from time to time. Looking to add more restricted areas around your property, including dock doors and/or pedestrian walkways? Check out our Chain Accessories and Flexible Delineators. When would I use a Flex bollard instead of a regular bollard? 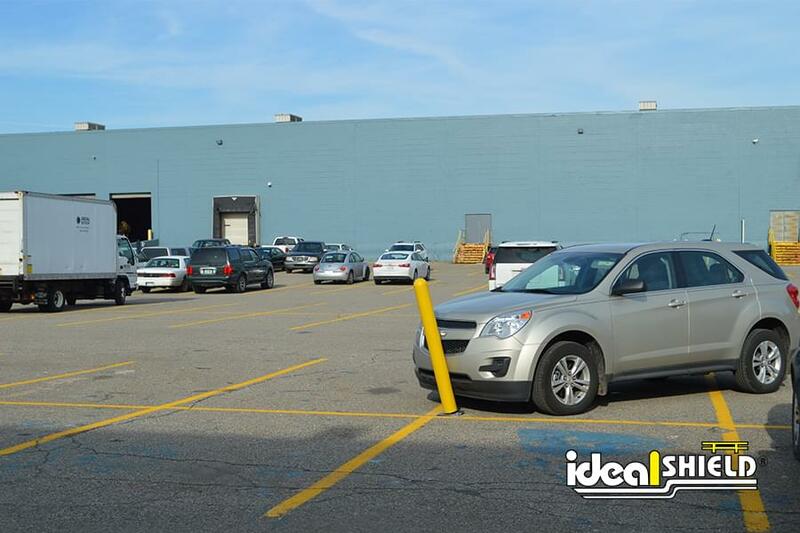 When you have a troubling area in your lot or shop that constantly gets hit but you are tired of replacing the crooked pipe, Ideal Shield's Flex line is here to help! 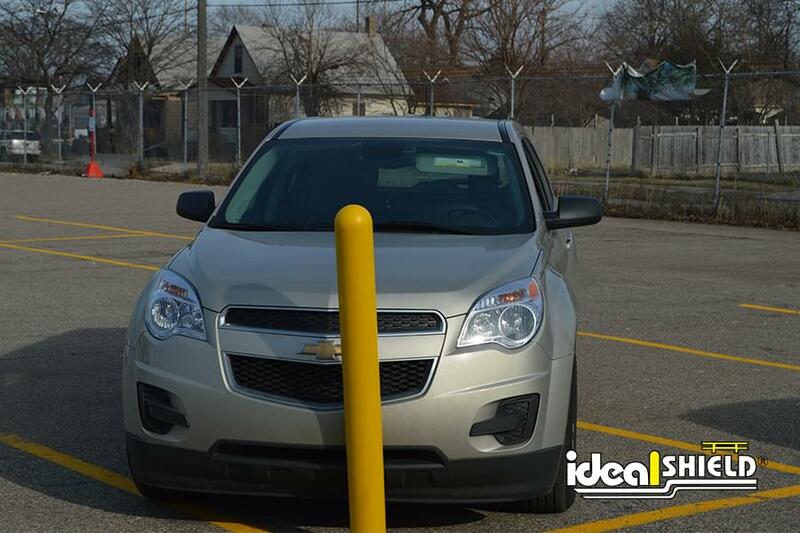 All Flex products allow a visual barrier that prevents damage to vehicles and to bollards upon impact. When should I upgrade to the XL (Heavy Duty) Flex line? The XL Flex line is more rigid than the standard line and cannot be easily flexed by passersby - they must be bumped by the weight of a vehicle to actually flex. The XL Flex line also has lifetime warranties! What kind of surface can I install Flex products in? We provide installation materials for both asphalt and concrete surfaces.